Alchemy ran for a brief two years and was much loved by its subscribers. Appearing every two months it was also a unique magazine in that it was what is called a "house" magazine put out by not one magic dealer but two, Practical Magic and PH Marketing. There were no columnists, just tricks. There were 92 tricks described in just 12 issues. Being a past editor of the magazine Paul has picked out what he thought were the best card contributions, nineteen in all. If you missed the magazine, you will find these effects worthy of your attention. For the most part, these are easy effects to do. Paul has also picked some effects that use cards other than playing cards to add a little variety (plus they are good!). 1st edition 2002, 1st digital edition 2012, 34 pages. 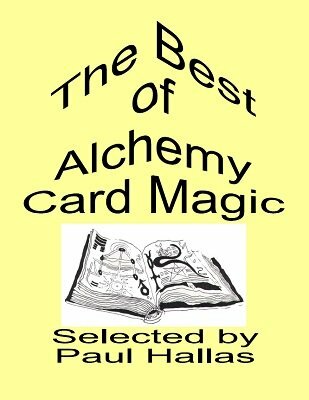 Easy to do very effective and very clever card magic for close-up and cabaret magicians. Few of the tricks are 'semi-automatic' so you can concentrate on the performance. Paul and all the contributors have made a very good job. Highly recommended for everybody from beginners to professionals.